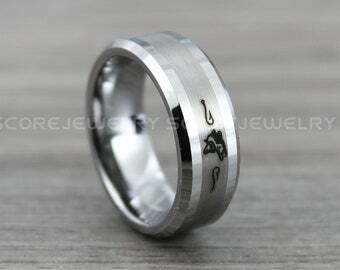 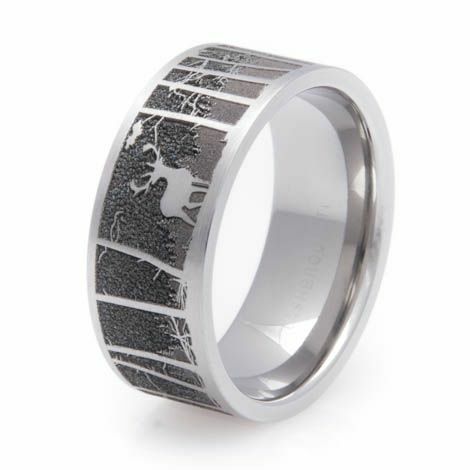 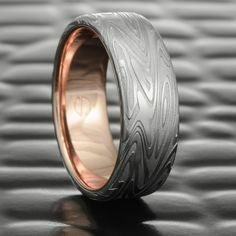 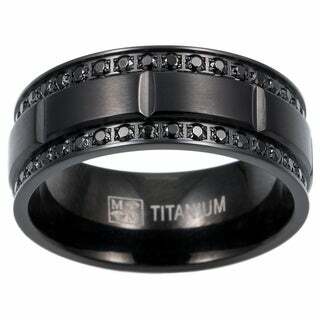 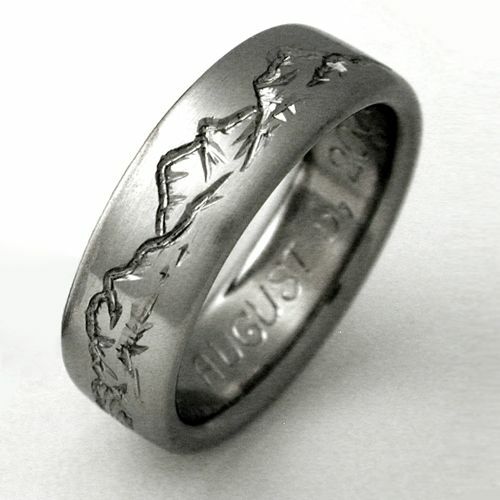 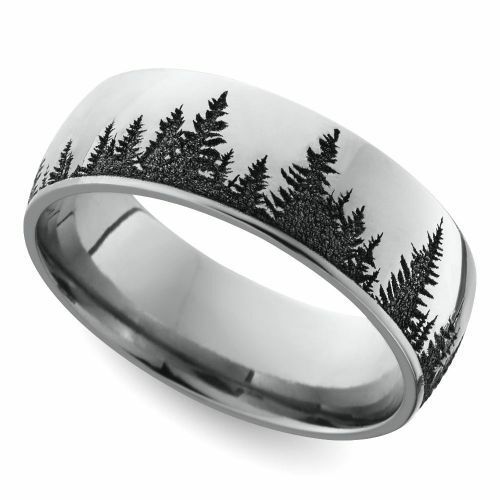 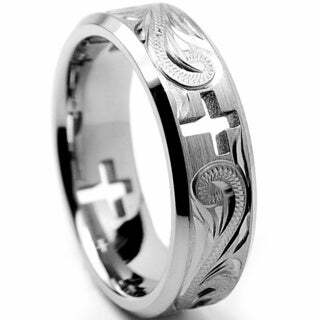 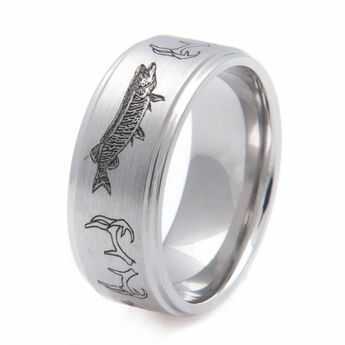 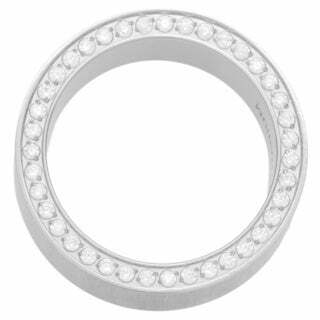 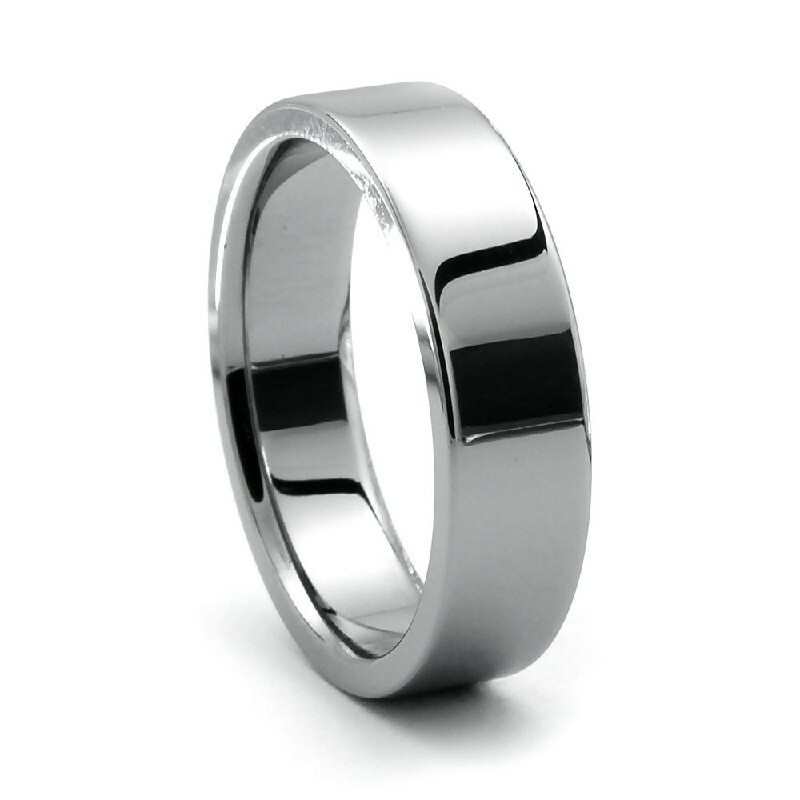 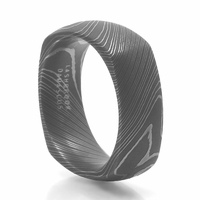 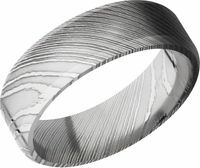 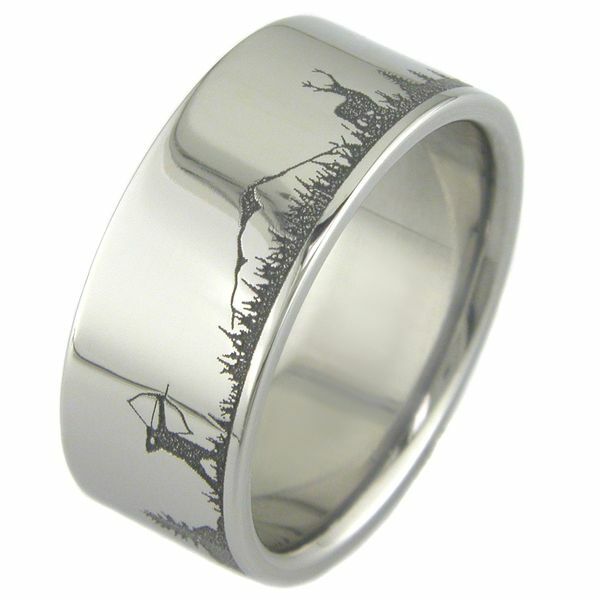 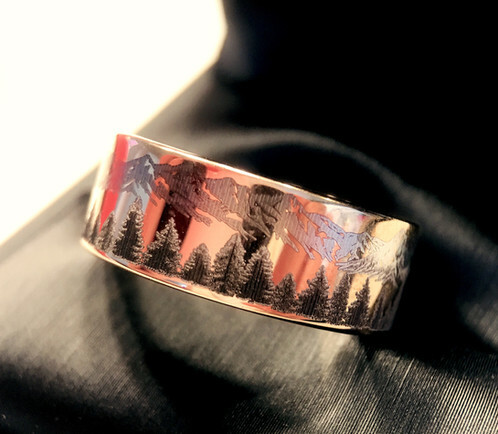 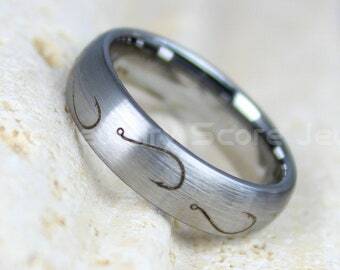 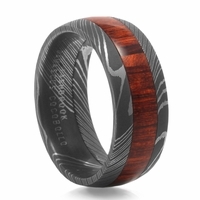 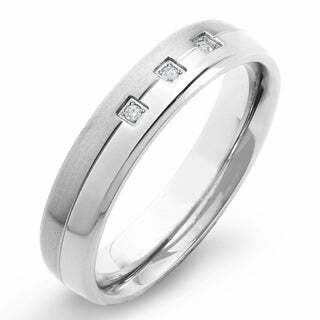 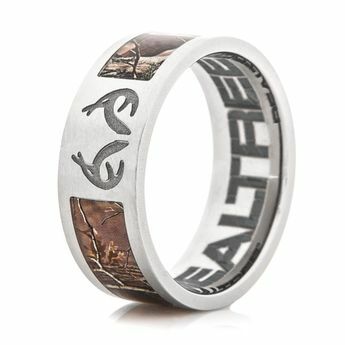 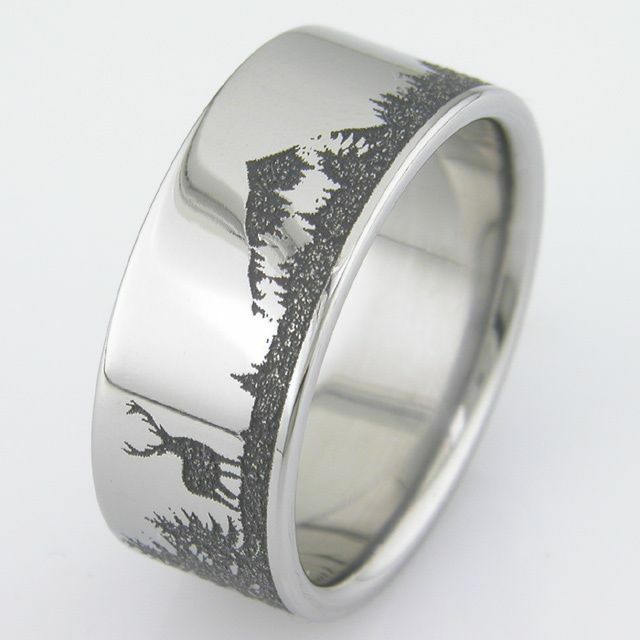 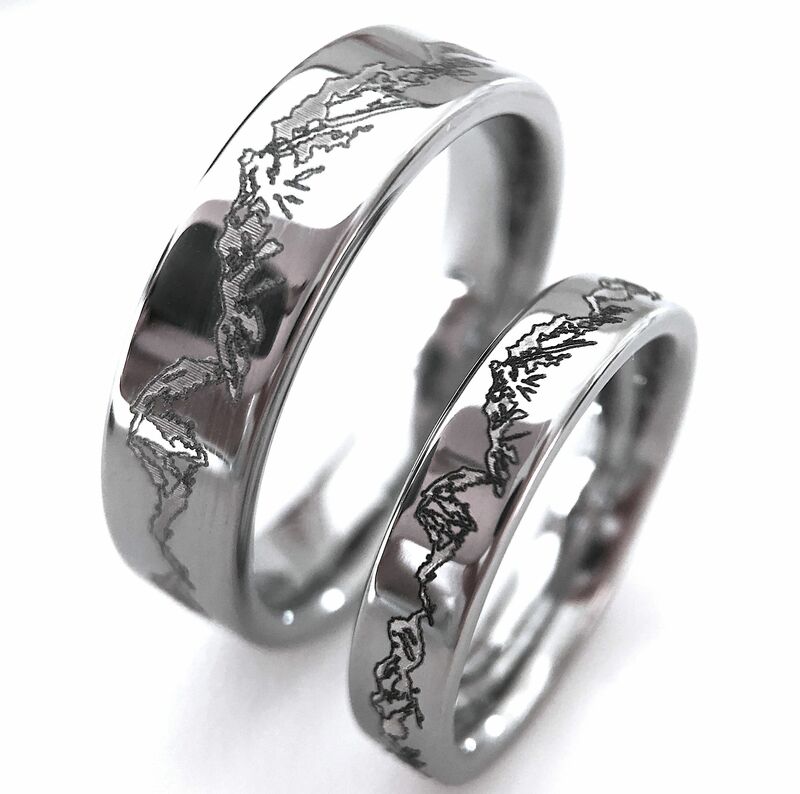 This domed men's wedding band features a serene pine forest pattern laser carved into cobalt for a unique look. 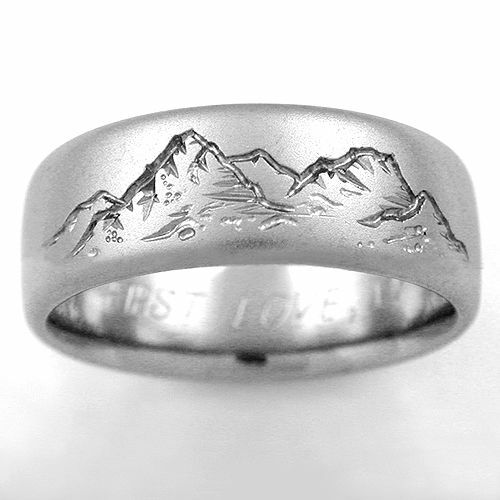 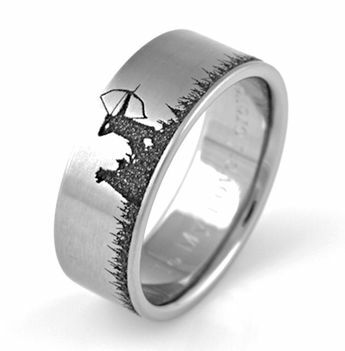 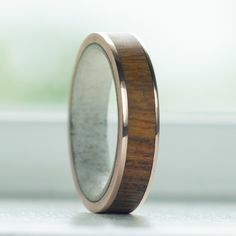 This is kind of the idea but with wood inlay for the mountains. 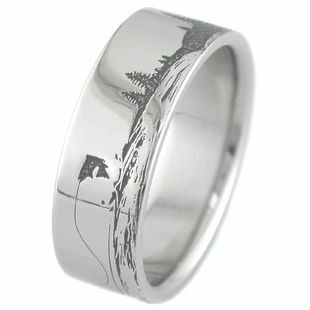 Sierra buttes scene.